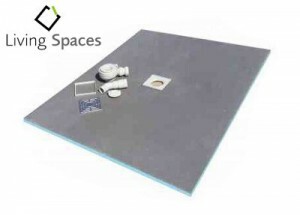 Our Wetroom Kits are available in a variety of sizes as below, and available with square floor gully or linear drain design. Each wetroom kit comprises wetroom dec, fast-flow waste and fittings, and solvent-based tanking kit to complete the wetroom installation. 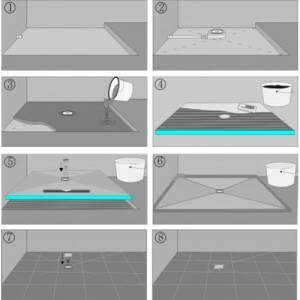 In addition, the waterproof decs, drains and wastes can be ordered without the tanking kit. The dec has the required fall built-in to ensure that the installation and tiling process is made even quicker and easier. 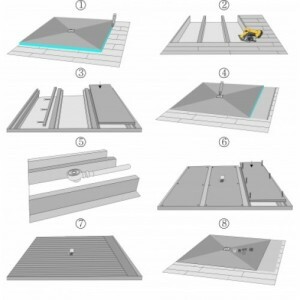 The kits come with detailed installation guides to make sure each step is explained clearly and fully. Note; Please make sure to reference in your order whether you would like to order the complete KIT (with solvent-based tanking) or the DEC and drains plus wastes. 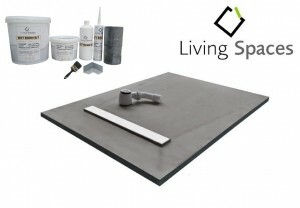 INSTALLATION ON CONCRETE OR WOODEN FLOORS. WETROOM DECS AND KITS — SIZES AVAILABLE. More Information on Kits Available here………..
We hope you like our new website, and we welcome your thoughts and comments. Let us know if we can do anything better. Many thanks for your time and custom.